You recently received word of a job opportunity and need to send in your resume ASAP! You open up your resume and it’s… let’s just say it’s not the prettiest. 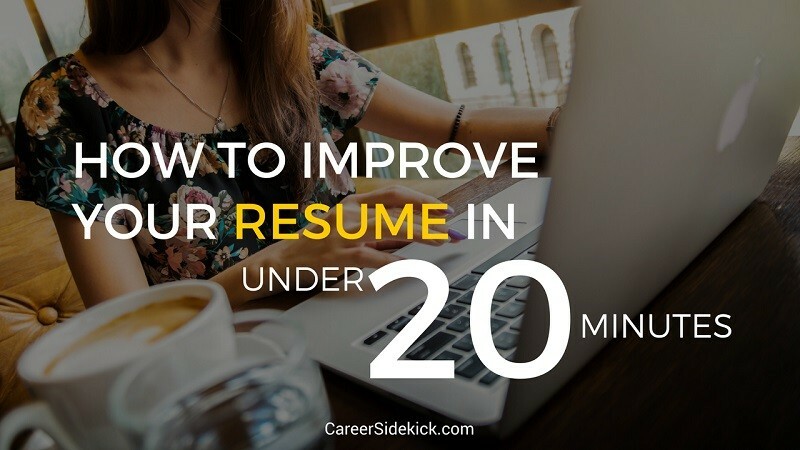 Plus, you’re a busy person, don’t have hours to spend updating it and don’t want to dish out $200+ for a resume writer… Well, no need to fret – here are 7 quick tips for how to improve your resume in a crunch. 1. Focus on the top-third of your resume. Regardless of whether you are crunched for time–or have hours to spend writing and formatting—the top third of your resume is the most critical. Since hiring managers only spend a few seconds reviewing each resume during the first pass-through, the top portion of your resume needs to be BANGING. When meeting with clients, I always encourage them to print out their resume (yes, I said “print out” for my fellow millennials) and fold it in thirds. Then, I have them read just the top-third. A hiring manager should want to interview them based on that top-third alone, nothing else. If the top-third isn’t impressive, further updates are needed (such as additions to the Career Summary, moving some sections around or sprinkling in additional accomplishments). 2. Remove your objective statement. Objective statements are circa 2010 (maybe even 2005) and unnecessary. It is clear what your objective is – To land the job, internship, etc., that you are applying for. Instead, write a concise Career Summary or Professional Profile (or whatever else you want to call it) that describes who you are and what you have to offer in five-ish sentences or bullet points. For those who still remember 10th Grade English, a Career Summary is like a “thesis” for your resume – It’s a preview of what’s to come, without sharing all of the good stuff just yet. 3. Add numbers and percentages (when appropriate and helpful). Coming from a fundraising background, this is one of my favorite tips! Numbers and percentages provide employers with the scope of your responsibility, as well as insight into your accomplishments. But don’t over do it – only add numbers when appropriate and helpful. Knowing how much you brought in in sales each month – super relevant. Knowing how much money was inside the register that you operate – not relevant. Review each noun on your resume and see if it would benefit from an added adjective. Here’s an article on how to come up with impressive numbers/figures to put on your resume. 4. Move the most relevant info to the top. While you should spend time customizing your resume for every job that you apply to, we all know that customizing resumes is a timely process and does not take just a few minutes. Plus, this article is dedicated to quick As such, I suggest just focusing on the order of your resume for now, ensuring that the most relevant info is at the top. Your most relevant experience should always be near the top, even if it is not your most recent experience, as you can always have multiple sections that list you experience (such as, “Relevant Experience” and “Additional Experience”).While dependent on your field and amount of experience, your education should also appear near the top of your resume, along with relevant certificates, software proficiency and knowledge of multiple languages. 5. Sprinkle accomplishments throughout your resume. This is my other favorite tip, and not just because of my love for sprinkled donuts. While it’s important to include responsibilities on your resume, the focus should be on accomplishments. Most position titles give a decent idea of what the job entails; just add a few descriptive sentences about your responsibilities and the hiring manager will know what you did. However, hiring managers don’t just want to know what you did, they want to know what you accomplished. To give them this, sprinkle your best accomplishments throughout your resume; employers want to know what you did to ROCK the job and go beyond just the outline position description. Remember to include relevant numbers and percentages with those accomplishments! Focusing on accomplishments instead of just responsibilities is one of the best ways (if not the absolute best way) to make your resume stand out. 6. Ensure your font is clean and consistent. The style of your resume can say a lot about your professional demeanor (or there lack off). Subsequently, your resume should present itself as professional, clean and easy to read from top to bottom. Body text should be no smaller than 10 point (my preference is 11 point) and headers should be in the 14 – 16 point range. Use capitalization, bold and italicize consistently (i.e., all position titles bolded, all dates italicized). While I am a fan of using color on resumes, keep it simple and use it sparingly, such as a nice blue for headers and contact info. Also make sure your bullet points line up properly and there are no formatting inconsistencies. Here’s a full article on how to format your resume for success, top to bottom. 7. Remove “References available upon request.” This is one of my biggest resume pet peeves. The reason for this tip is similar to tip #2 – it’s assumed that references will be available upon request, otherwise why would you be applying for a job if you weren’t willing to dish out a few references? Bonus Tip: If you have an actual list of references at the end of your resume, you can scratch those, too. Instead, fill that newly blank space with another accomplishment or two! And that’s a wrap – your resume should now be in a better place than when you started. Plus, each of these tips should have taken no more than a few minutes to implement. Kyle Elliott is a well-caffeinated professional development coach and freelance marketer, writer & editor who has helped more than 300 clients to date. He has a knack for branding and marketing, love for resumes and LinkedIn, and healthy obsession for details and coffee. Email Kyle at Kyle.Cromer.E@gmail.com and mention this article for $25 off a Resume Makeover. 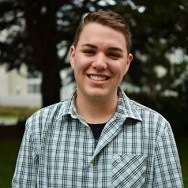 Or learn more about Kyle’s consulting work (and his Starbucks addiction) at LinkedIn.com/in/KyleCromerElliott.